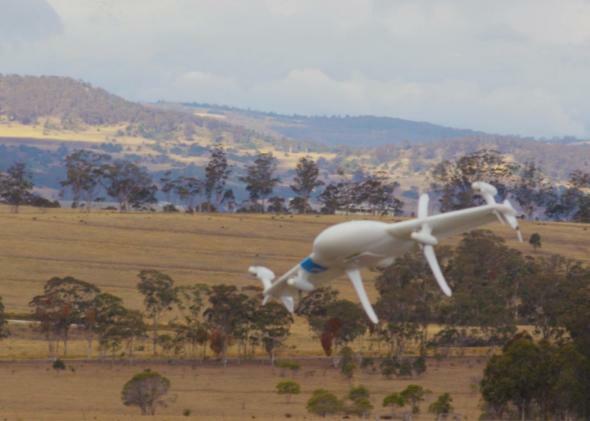 Google thinks its drones could ultimately have a wide range of applications beyond small product deliveries. Google has been privately working for two years to build self-flying vehicles, the company revealed Thursday evening. Or, to use a less crazy-sounding name: drones. Called “project wing,” the self-flying vehicles program is the latest project from Google X, the secretive skunkworks responsible for the company’s self-driving cars, wi-fi balloons, and Google Glass, among other things. There have been rumors that Google might have something like this in mind since around the time that Amazon announced its own plan for delivery drones last fall. But this is the first confirmation from the company, and it’s even more ambitious than a lot of us suspected. 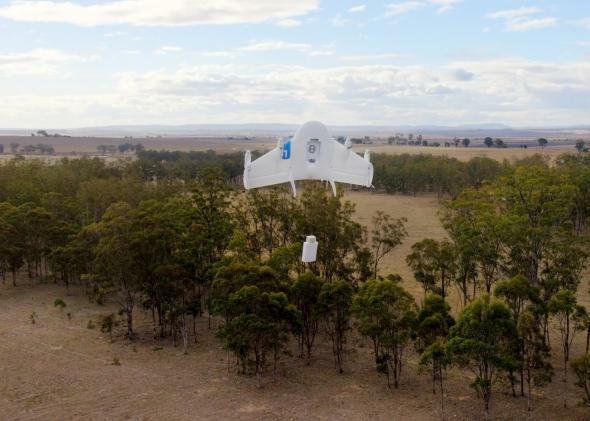 Google’s project is reminiscent of Amazon’s stated ambition to build delivery drones that could deliver small products (up to five pounds) to customers within half an hour of their orders. But it could also be more than that. Google X’s press release mentioned future applications ranging from larger cargo routes to emergency-relief deliveries to the ability for people to rent certain items—like, say, a power drill—for only the few minutes that they need them before sending them on their way to the next user. It’s hard to say at this point which company is further ahead, as both are probably at least a few years away from putting their plans into commercial operation. There remain hurdles both technological and regulatory, along with some obvious safety concerns. That said, there do seem to be a few differences in the basic design approach even at this early stage. Whereas Amazon has talked of using “octocopters,” which hover via an array of spinning blades, Google’s prototypes are a little more plane-like, with a set of wings designed for “fast forward flight” in addition to rotors for vertical takeoffs and landings. This is what the prototype drone looks like when delivering a small package. That might sound like a sensational claim, but based on my experience covering Google over the last few years, I don’t think it is. I’ve written previously about Google’s forays into the physical world, including humanoid robots, smart appliances, and high-flying surveillance drones and satellites. Forget Thermostats. Google Wants to Organize the Internet of Things.